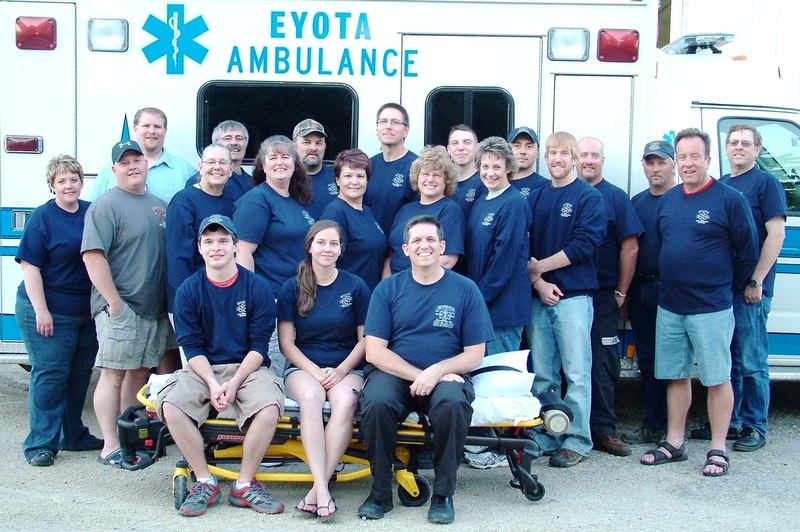 Established in 1976, Eyota EMS has been proudly serving the Cities of Dover, Eyota, and township communities of Dover, Eyota, Marion, Viola, Haverhill, Pleasant Grove, and Orion. We actively participate in community activities, athletic event, civic festivals, fun runs, regional training exercises, and Chester Woods park events. Our all volunteer non-paid crew provides 24 hour coverage, CPR & First Aid training, fire medical support, and visits community members in need of medical follow up. Crew are asked to maintain their National EMT Certifications, and are provided continuing education throughout the year. Monthly meetings are followed by training on the 2nd Monday of every month at our tiny ambulance garage. We are in the process of acquiring Bonds to Build a new facility, which should help enhance the communities we serve, and expand wellness activities in the region. We believe in constantly improving our service, and meeting the needs of our ever aging population. Every crew member has a voice, and every patient has an advocate. Annual Chicken Feed, 3rd Saturday in July 11AM-6PM. "Flippn the Bird since 1998"
Our Annual Chicken Feed is a major fund raiser each year that provides us great community exposure, as well as allows us to have fun grilling 1200 pounds of chicken, over 340 pounds of charcoal, serving 30 gallons of baked beans and 2400 ears of fresh buttered sweet corn on the cob to the near 1000 attendees. Feel free to stop by the 3rd Saturday in July for a great meal and to help support our little piece of EMS heaven.